Cryptocurrency will close out its first decade in 2018. For some out of the loop this will be a surprisingly long time but for millennials and early adopters, it probably seems more like the shift from BC to AD. Technology develops and is integrated into our lives at such an advanced rate that it is hard to imagine life before say the iPhone, which turned ten last year. 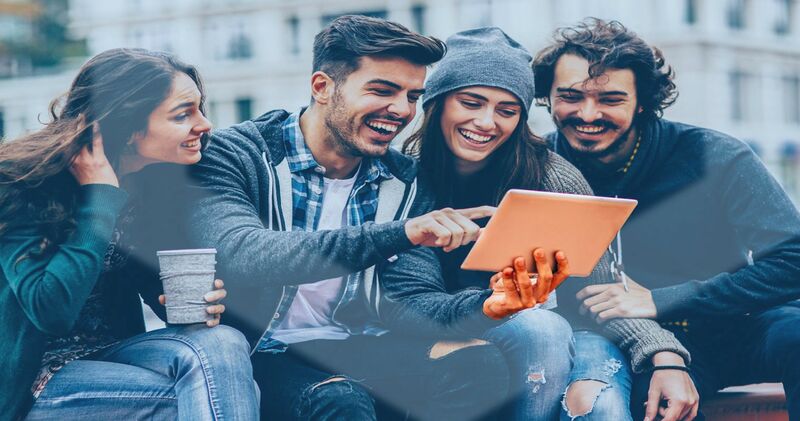 For millennials, the first generation of humans to grow up with digital technology as an everyday part of life there is no separation between living, working, playing and interacting with one’s device. Growing up in the digital era seems to have given millennials a different perspective on ownership of goods than generations going back to the industrial revolution. With every form of information and entertainment digitized and streamable there is no need for bookshelves, houses get smaller, for many, the idea of owning a car is ridiculous when you can order one from an app. The idea of a non-tangible decentralized currency fits easily into a reality where most of your friends exist on the internet and many of them half a world away. While even GenXers may fear plunging into markets that can change dramatically over the course of a day it can seem natural to person who garnered several hundred thousand views on YouTube for a cat video. There is so much talk today about blockchain technology being as disruptive to existing networks as the internet was twenty years ago there is no wonder that top universities are struggling to meet student demand for classes exploring it. Just now most of the focus is still on cryptocurrency and the volatility of the markets and when the bubble is going to burst. For those looking towards the future though these are just growing pains. The planners see blockchain changing the way existing industries do business. Everything from international transport to rental contracts may soon be registered on decentralized ledger networks. Law firms, hospitals, governments will very likely be implementing blockchain networks to store and move information around the world providing the ability to pull up a doctors visit from the past or pay taxes on a smart phone. For those a bit older, investing in cryptocurrency or believing in something called blockchain to store a life’s worth of information can be an intimidating prospect. Taking a day to read about and explore cryptocurrency maybe all it takes to get comfortable with buying some crypto and relying on the blockchain. Information tends to calm all fears.